We’re the first to share with the whiskey community that Maker’s Mark has just decided to switch back to 90 proof effective immediately. 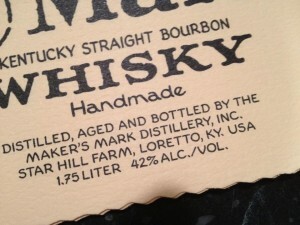 Maker’s Mark just has shared the news with BourbonBlog.com this morning. A little over a week ago, BourbonBlog.com was the first to bring you the news that Maker’s Mark was “permanently” changing the proof of their Bourbon from 90 to 84 (45% to 42%), in a recipe that dated back to 1953. What do you think about their fast change of heart and what do you think motivated it? Tell us on this link and check out the official email from Rob Samuels and Bill Samuels, Jr. below. 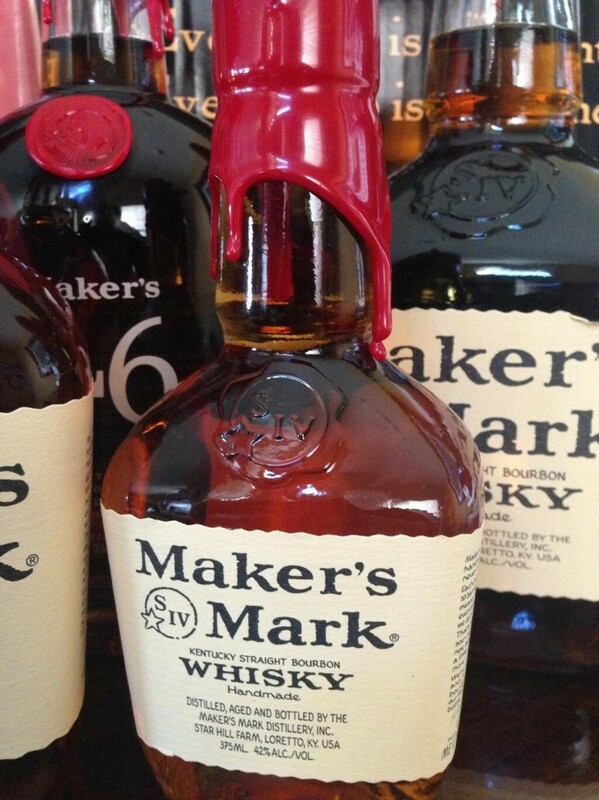 During the last 7 days, Maker’s Mark has received bad press and negative comments on social media questioning unspoken motivations behind the ABV lowering decision. 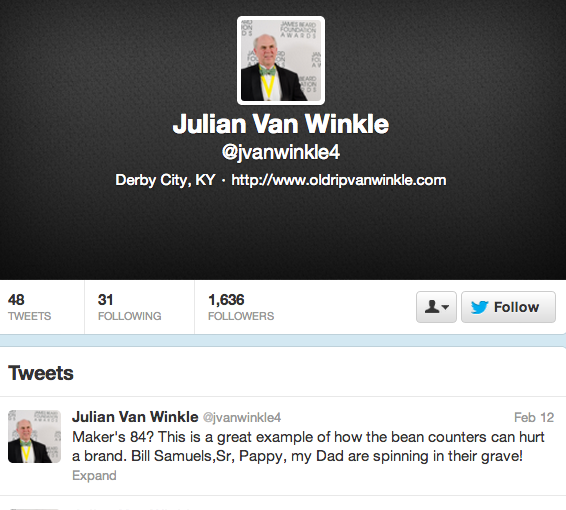 Additionally, many other Bourbon brands took the opportunity to poke fun at Maker’s Mark on social media. 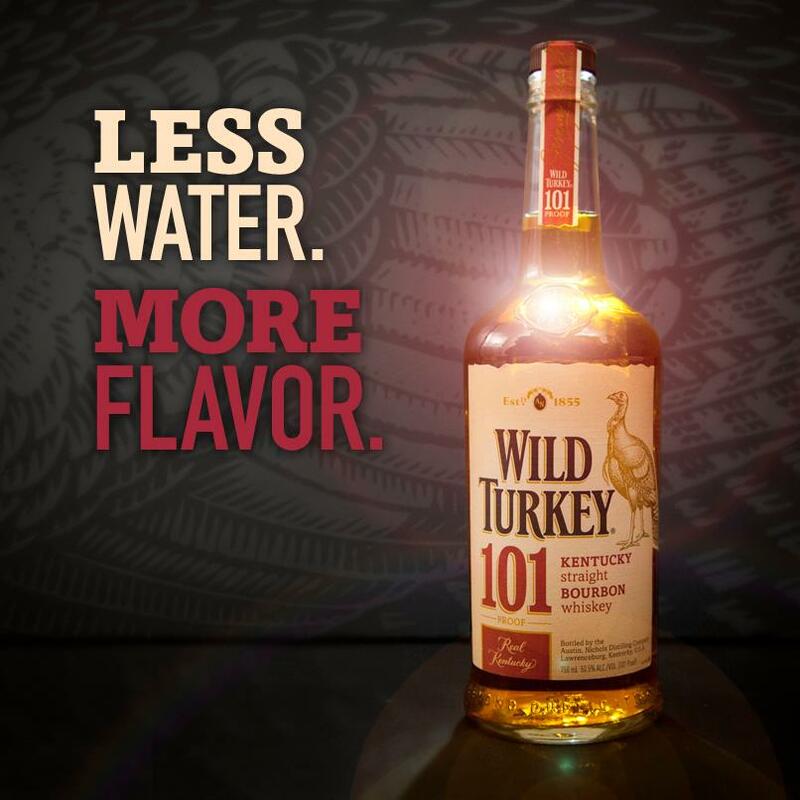 Check out the subtle hint in a facebook ad from Wild Turkey and the message that Julian Van Winkle, CEO of Old Rip Van Winkle Distillery Tweeted below! BourbonBlog.com tasted the 42% last night and we could tell a difference from the original 45%, we’ll bring you our full review soon! There are some bottles of 42% ABV out there, so grab one while you can! I like Makers, their iconic presence, and the spotlight they bring to the area, but this switch back is too little, too late. I was shocked when they decided to change the blend, even though it was small. Knob creek had a shortage not long ago, and they stuck with their recipe. It payed off. Their loyal fans stuck with them and the raised prices. The blend change, to me, showed they were unfaithful in their long standing products ability to sell. I don’t drink Makers often anymore in my constant pursuit of all things bourbon, but I don’t think I can anymore. You can’t believe in yourself Makers, why should I. When Makers decided to water down their brand I thought it was about money and not about quality that they have built as a long established company. I thought it was poor judgment on their part but to reverse their decision in a week back to their old standards regains my respect. I would hope this wasn’t all about marketing. Very happy to see this decision reversed. I shared this news to all of those MM fans that were bummed about the lower ABV version and they are happy they don’t have to get used to even a slightly watered down version of their favorite bourbon. All could think of was marketing. I remember when Coke changed its’ formula and how it eventually helped their brand. Makers never intended to dilute their bourbon permanently. It got the brand front and center and now the sales WILL cause a shortage. I love their bourbon, I will keep drinking it, and I applaud them for their marketing prowess. I am still disappointed in the brand and owners. If they could have gotten away without everyone causing a fuss it would have been take me to the bank. Either way they get what they want, because now they can talk about the shortage and go up on the price.